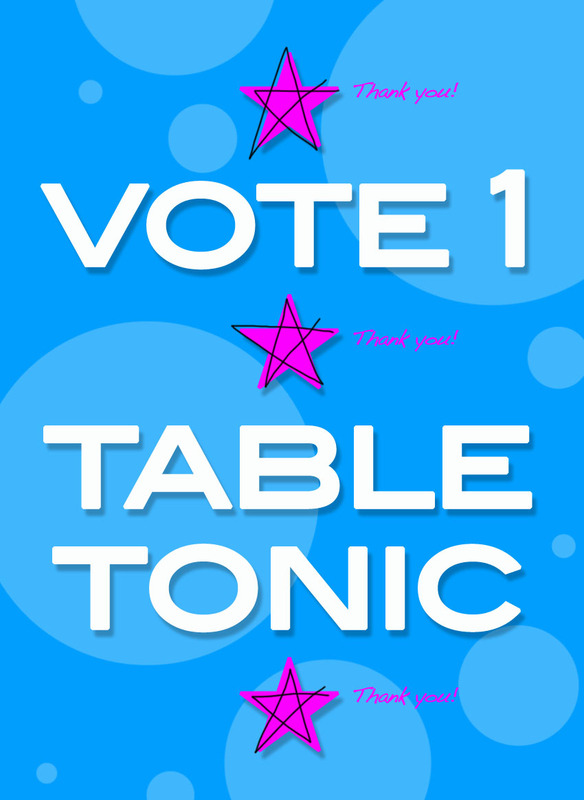 Please vote for Table Tonic in the 2010-2011 Homies! 1. Click here to register (simply enter your email, a display name and a password). 2. You'll receive an email from Apartment Therapy - Click on the link to verify your email address. When the 2009 Homies were announced, I had literally just started blogging that very week (I blogged about the 2009 Homies here). It's a wonderful concept, and I would be so thrilled to be a part of it in 2010-2011! I have poured so many wonderful hours into this little blog, to make it what it is. I don't expect to make any money from it (it's 100% ad-free! ), but a little recognition would be the icing on the cake that is the joy of blogging. I love your blog, so I'll totally help you out and vote for you!! Added my vote!! GOOD LUCK! Just nominated you as well - Good luck! Done and dusted - good luck!